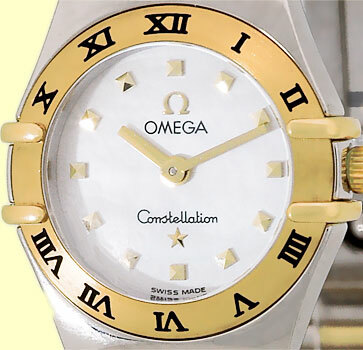 Lady's Mini Stainless Steel & 18K Yellow Gold Omega "Constellation". 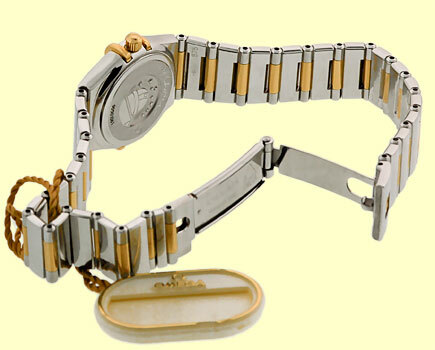 White Mother-of-Pearl Dial with Gold Baton Hour Markers, 18K Yellow Gold Bezel with Black Roman Numerals, and Sapphire Crystal. 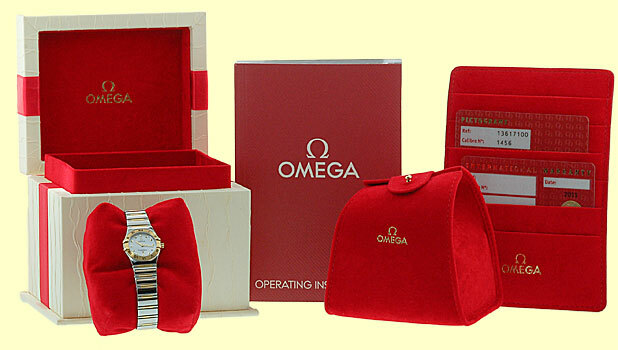 Matching Stainless Steel & 18K Yellow Gold Omega Constellation Bracelet.